How Wall Street Strategies Took a Major League Baseball Team from Worst to First, Jonah Keri, Ballantine/ESPN Books. “‘The Extra 2%’ is the story of how the laughingstock of professional sports rose to the top of the baseball world.” That’s how author Jonah Keri—a veteran financial journalist and sportswriter—describes “2%,” a meandering look back at the mostly ignoble history of Tampa Bay’s major league baseball franchise. But the meat of the book is the Rays’ turnaround story, fashioned by a trio of baseball outsiders—Stuart Sternberg, Matt Silverman, and Andrew Friedman—who came from Wall Street, and used the principles they learned in the financial world to remake the struggling franchise. Skilled at determining valuation and making trades, they used creative ideas to get what they describe as “that extra 2%, that 52-48 edge,” explains Sternberg. For example, they applied the concept of arbitrage (the act of capitalizing on a price difference between two markets) to baseball, acquiring select players at a depressed price, earning profits in the form of wins. And they overhauled the club’s marketing and public relations campaigns, even exorcising the “Devil” from the team’s moniker. Their efforts culminated in an appearance in the 2008 World Series (lost to the Philadelphia Phillies), followed by a second consecutive AL East division title in 2009. Unfortunately for Keri, there isn’t a singularly compelling figure (like Billy Beane, centerpiece of Michael Lewis’ “Moneyball”) to build a narrative around, and in spite of their recent successes, the Rays generally lack personality. As such, the book has relatively narrow appeal—perhaps limited to business-minded baseball fans. The Longevity Project—Surprising Discoveries for Health and Long Life from the Landmark Eight-Decade Study. 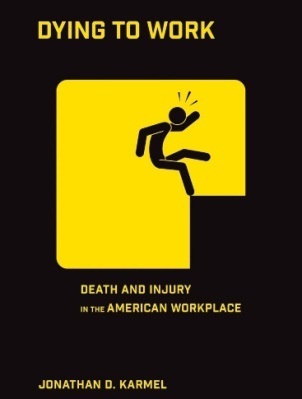 Dying to Work—Death and Injury in the American Workplace, Jonathan D. Karmel, Cornell University Press.